Recently updated full 2 bedroom / 2 bath condo with great Sunset views. Enjoy your morning coffee while looking at the Gulf from either bedrooms or while sitting under the large covered balcony. 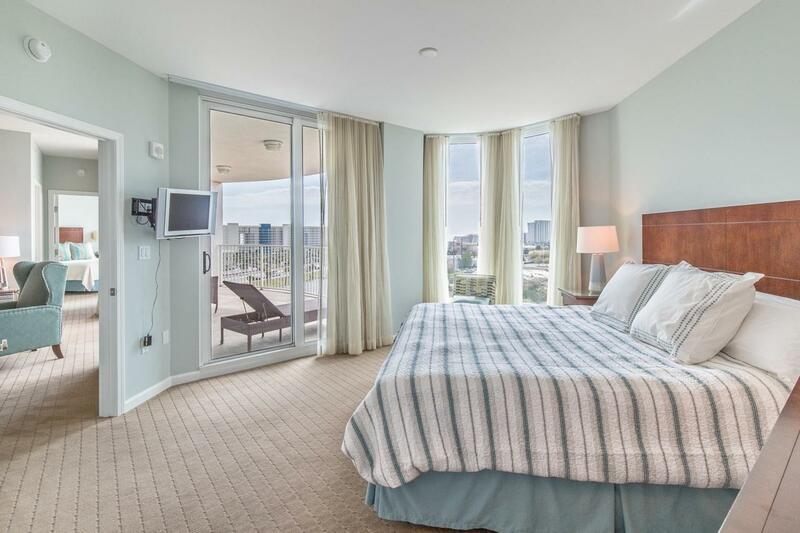 The Palms of Destin has an 11,000 square foot lagoon pool, one of the largest hot tubs in Destin, a kiddie splash area, basketball and tennis courts, playground, large fitness center, covered parking, security, and much more!This condo was never on a rental program until 3/1/2019. All utilities included in HOA including electricity. Great second home location. Be your own snowbird and let the summer guest pay your dues and insurance. Property is approved for VA guarantee.